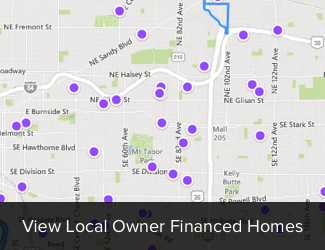 What does Owner Financing actually mean? What is the Owner Financing process? Is there a required down payment? What are the requirements of a owner financing arrangement? When a property buyer finances the purchase directly through the person or entity selling it. This often occurs when the prospective buyer cannot obtain funding through a conventional mortgage lender. We help lots of folks like you to purchase the home of their dreams with our Houston owner financing program. We help you avoid bank qualifying and streamline the process to home ownership. You will need a certain amount of a down payment in household monthly income and we need to verify that you have the ability to make the monthly payments. We do this for your protection so we know you will be able to afford the home you want. You’ll get immediate access to great Houston homes, plus a whole lot more. Yes you can! Many people with bad credit can still buy a home without a bank. Every situation is different, but we specialize in helping people who have been through tough circumstances (or just made mistakes in the past) to get started on the path to a great financial future and home ownership. There are a lot of benefits of owner financing! In the Houston area, lots of smart people are using owner financing as a way to get the home of their dreams without having to qualify for a bank loan. Plus you are saving thousands on closing cost or points that are standard with dealing with a traditional mortgage or lender. In the past few years, banks have been very tight on their lending criteria. Yes but we can be very flexible. Our Houston homes range in price from $49,900 to $89,900 and typically require a down payment of $3,000 to $10,000. We have found that this is the best price range to find homes that are in decent neighborhoods where people want to own a home and raise a family. Once you’ve had a chance to check out the house, you’ll fill out a application that will include detailed information on everyone living in the home.